ABA Midyear 2018: A Look at Capital Punishment in the U.S.
Cassandra Stubbs talks about the issues that come with using the death penalty, like racial discrimination, geographic discrimination, and potential innocence. In the 1970s, both Canada and Mexico made the decision to abolish the use of capital punishment. The U.S. seemed to be on the same trajectory until the late 1970s when the courts changed course and the use of the death penalty continued. 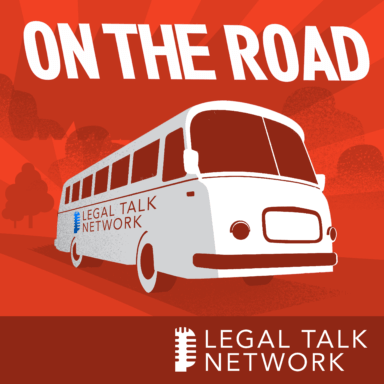 In this report from On The Road at the 2018 ABA Midyear Meeting, host Laurence Colletti talks to Cassandra Stubbs about the issues that come with using the death penalty, like racial discrimination, geographic discrimination, and potential innocence. They also discuss the extradition agreements between the U.S., Canada, and Mexico and how having the death penalty has impacted those agreements. Cassy Stubbs is the director of the American Civil Liberties Union’s Capital Punishment Project.